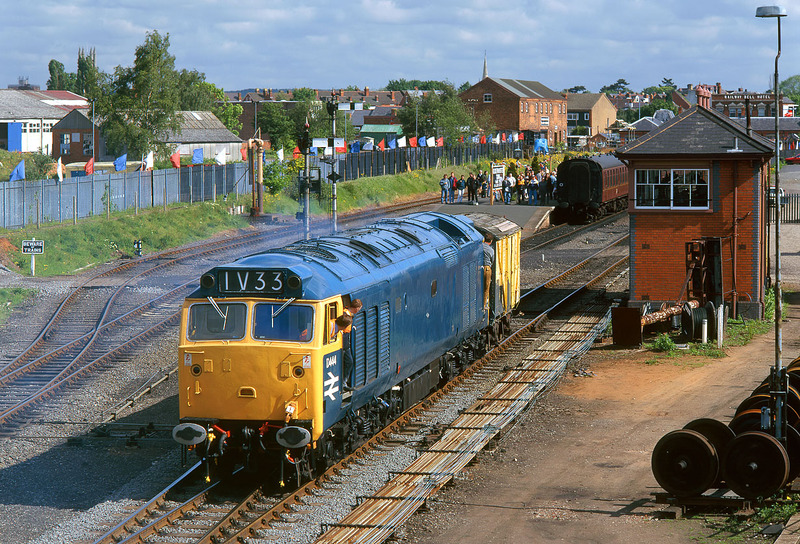 D444 shunts a single wagon at Kidderminster on 24 May 1997, prior to working the 09:45 Severn Valley Railway service to Bridgnorth. The eager passengers wait next to the coaches in the background. The loco had been restored to unrefurbished condition, and without any multiple working cables.